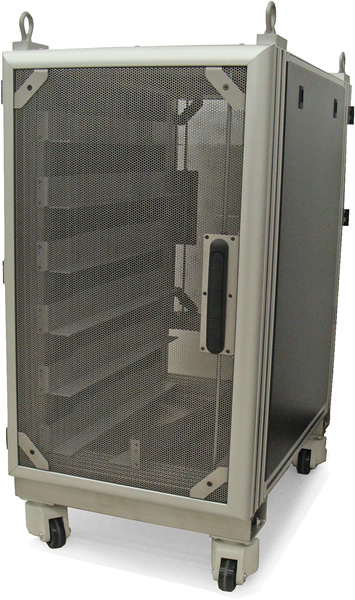 The Tesla™ 19" Rack Mount Cabinet Assembly 18U (AST500-18U) is designed as an organized solution for containing and securing Astrapi i Power Supplies and Battery Modules. Cabinet doors are ventilated for better air flow. Designed to hold six Astrapi i Rack Mount Modules.